One of the primary reasons that both men and women choose plastic surgery or facial skin rejuvenation services is to reduce the signs of aging. Today there are countless procedures, both surgical and non-invasive, that can improve wrinkles, sagging, laugh lines, crow’s feet and more. Depending on your specific preferences, your budget and the severity of your concerns, a plastic surgeon can recommend an effective solution to turn back the hands of time. 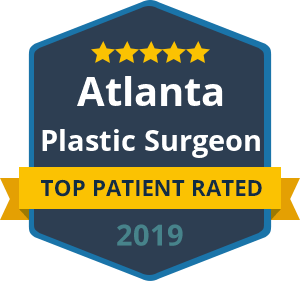 For many patients, it is helpful to know the specific causes of their aged appearance so that they can control the aging process better and retain their plastic surgery results longer. Besides simply getting older, which we know we cannot control, there are some daily habits that may be contributing to your wrinkles. #1 Smoking – There is not doubt about it; your smoking habit causes premature facial aging. The nicotine in cigarettes causes narrowing of the blood vessels in the outermost layers of your skin, which impairs blood flow and restricts your skin from needed oxygen and nutrients. Many chemicals in tobacco smoke also damage collagen and elastin, resulting in facial skin that sags and wrinkles. #2 Skipping Sunscreen – The sun is the leading cause of aging skin. Apply a broad-spectrum sunscreen, which blocks both UVA and UVB rays, with an SPF of at least 30. Remember that skin damaging UV rays can penetrate glass; so use sunscreen even when you are indoors! #3 Going to bed with makeup – It is easy to skip your face washing regime when you are ready to crawl into bed. However, a clean face helps keep your pores clear and your complexion glowing. Environmental toxins (like dirt and pollution) build up on skin the skin throughout the day even when you may not realize it. #4 Not getting enough sleep – Getting inadequate shut-eye can age skin prematurely. During the day, our skin cells fight sun and environmental stressors. Your sleep is important so that your cells have a chance to repair and rejuvenate. #5 Too much stress – A 2012 study found that stress increases inflammation throughout the body—which also increases skin aging. Finding ways to reduce your stress as well as eating a well-balanced diet and exercising can slow down the aging process of your skin. If you are engaging in the above habits on a daily basis, you may want to make some changes. Whether you are investing in a facelift or Botox injections, your results will last much longer if you avoid these habits that accelerate unwanted wrinkles and sagging. Not only will your face reflect the benefits, but the rest of your body will thank you too.